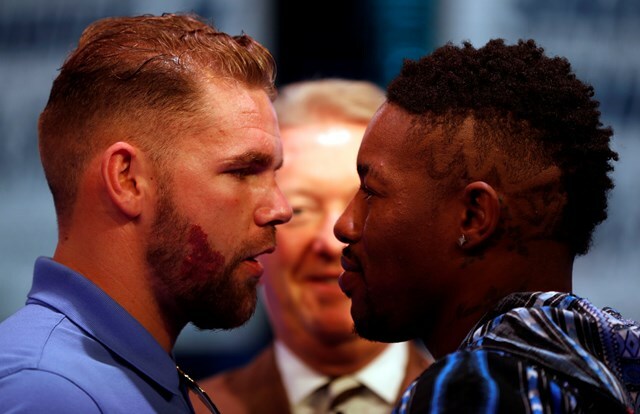 WBO world middleweight ruler Billy Joe Saunders (24-0, 12 KOs) admits he needs to let his fists do the talking when he faces Willie Monroe Jr. The unbeaten Hatfield southpaw defends his belt at the Copper Box Arena on September 16th, hoping to put a frustrating 18 months behind him. Since outpointing Andy Lee to win the title, Saunders had an injury-plagued 2016 before making the first defence against Artur Akavov last December - an underwhelming performance in Glasgow. His July 8th bout with mandatory challenger Avtandil Khurtsidze was then cancelled because the Georgian was arrested in America. "For the last year, too much talking from me I have to say, time to start performing at the level I know I can," he tweeted on Monday evening. In the past, Saunders has called out Gennady Golovkin and Canelo Alvarez for not wanting to fight him. Those two Middleweight giants square off on the same night in Las Vegas. "Can't wait till my fight...I'll show you what I'm about," he added. Should Saunders overcome tricky New Yorker Monroe Jr, he will be in line to face the winner of Canelo v Golovkin to unify at 160 pounds.